It's odd that we have a national holiday for Christopher Columbus, a mass-murdering slaver, but not one celebrating the end of slavery. It's absurd that Juneteenth is seen by anyone as a black-only holiday. 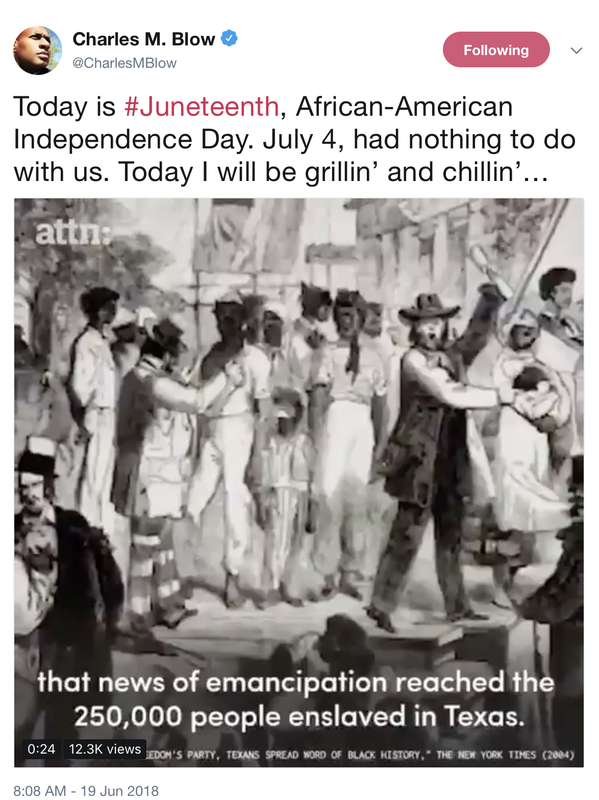 Anybody who opposes slavery should be happy to celebrate Juneteenth. And today it's also a good time to remember that one of the horrors of the US slave system was that children could be ripped away from their parents and taken somewhere far away, never to be seen again. Ripping children away from their parents is nothing new in the US - but we should oppose it whenever it happens. Like with Trump's evil policy of grabbing children away from their parents, with no system of tracking the kids and parents and no system aimed at reuniting them. This is when we find out how evil Trump supporters really are.